Run, jump, throw, hop, skip and jump – athletics has it all! Outdoors or indoors you’re bound to have fun because there’s so much to try in this sport, there’s something for everyone. 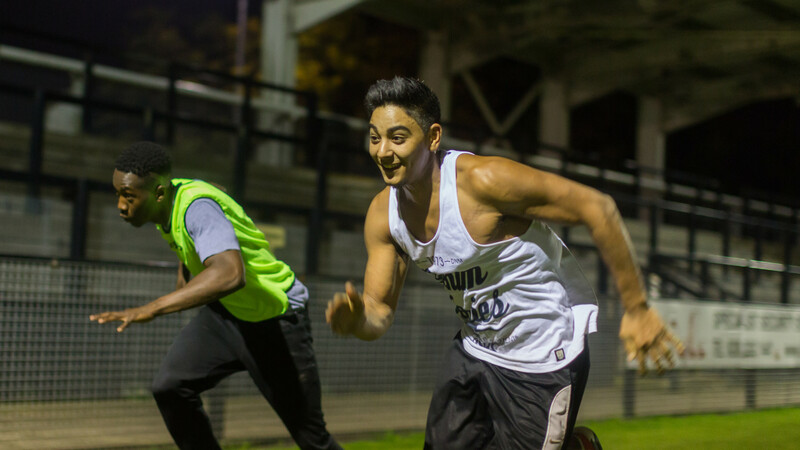 You don’t have to be the next Usain Bolt or Jessica Ennis-Hill (although that would be pretty cool) either, for an individual sport you’ll never feel more part of something than in track and field. You might want to give shot put a go (throwing a metal ball as far as you can) 100 meter sprint (clues in the title) or long jump (running fast and jumping as far as you can into a sand pit) - athletics has a lot of different things you can try. There isn’t really an off season because competition goes indoors or cross country over the winter. So you can train all year round and be proud you’re keeping active when others are eating mince pies over Christmas! Trainers are a must as well as clothes you feel comfortable moving around in. Clubs and facilities are likely to provide all equipment needed. Take a look at England Athletics where you can find plenty more information.